which is why I replied to Paul on the issue of power source when he mentioned LERN. the issue didn´t really started as a discussing about what´s the best power source... I don´t really care what will the power source, nor am I interested in discussing here which power producing method has the most potential, whatever. Am I that wrong in those fears? IMHO, no, you are right. When trying to defend yourself and your ideas from strong criticism, don't become an even bigger target. Not even by making the innocent mistake of passingly referencing another controversial topic in your slides. Focus on the pill you want your public to swallow. And not on any other. One thing that has mystified me about this whole business is it not the fact that this effect has been known about for a number of years so why is it only in recent years that people have started looking into it? It's not clear, what effect are you referring to? Microwave communications on satellites wasn't it first noted. From what I've read, yes. Shawyer was investigating why certain satellites were burning through their fuel far faster than expected. He concluded that microwave emissions from devices on board these satellites was responsible, and from there began looking into this as a means of thrust. 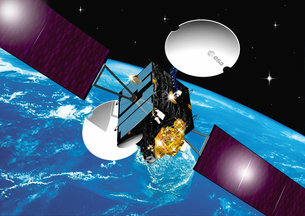 The microwave communications are possible because microwaves are transmitted from (and to) the satellite. The microwaves obviously are leaving (or entering) the satellite. If there is any propulsion resulting from communications from the satellite, it may not violate the laws of conservation of momentum and conservation of energy, because the microwave photons are leaving the sateliite. It would work like a photon rocket for microwaves leaving the satellite (or like a solar sail for microwave photons hitting the satellite). Scientists have no problems with the concept of a photon rocket (except that it is one the least useful forms of space propulsion: one can also use a military searchlight as a photon rocket). Shawyer's EM Drive is completely different: it is a completely enclosed cavity. The microwaves inside it are standing waves. No microwaves leave the EM Drive. No photons leave the EM Drive (certainly not on purpose). That's why scientists think that the EM Drive should not be able to have any propulsion: because it appears to violate conservation of momentum. 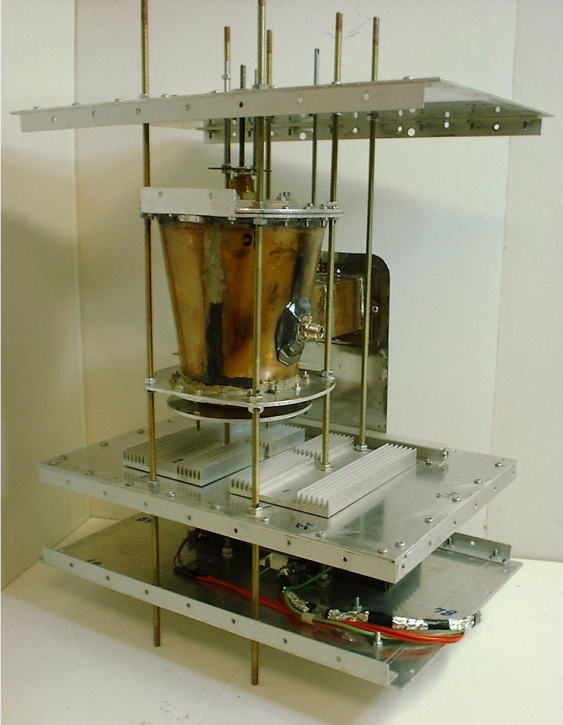 The standing microwaves inside an EM Drive cannot be used for communication purposes because they stay inside the EM Drive: the metal acts like a Faraday cage. So what is mystifying, if indeed Shaywer was inspired by this issue, is whether Shawyer did not understand the difference between a completely enclosed microwave cavity and a communications satellite transmitting microwaves or whether the story that he was inspired by this is not really accurate. 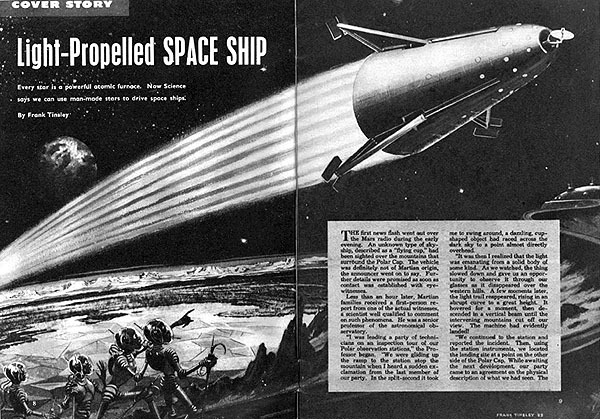 It would be like somebody saying that they invented a new form of space propulsion based on a flashlight inside a a completely sealed box with mirrors on every inside surface, and claiming that they were inspired by noticing that a satellite in space flashing a light for communications purposes, also acts like a photon rocket. Yes, a flashlight in space will act like a photon rocket, but if you put the flaslight inside a sealed box so that no light leaves the box, it is just a box sitting in space: it is no longer good for communications and it is no longer good for propulsion. Those who are hostile to EM Drive research will be the same ones that are hostile to LENR research. Let's not kid ourselves. There is a growing body of evidence that LENR is not only real, but commercially useful and viable. There is likewise a growing body of evidence in support of the EM Drive, with multiple groups in multiple countries citing remarkable results. In each case, further replications are paramount to rule out or otherwise nullify the purported effects. I reject the idea that we should stay silent and not mention certain words or areas of research to avoid offending the sensibilities of certain individuals. Nor is the general public the main target audience at this juncture. The target audience right now are space and propulsion enthusiasts, technologists, engineers, and scientists. I think that LENR can be openly mentioned and even discussed without fears of an ominous discrediting campaign. That campaign has already run its course. The scientific method is of utmost importance in these situations--otherwise we risk falling into the tantalizing trap of refusing to gaze through the telescope when the answers are before us for the looking. Dismissing phenomena out of hand is anathema to the scientific method. The safer and more astute approach is to maintain a skeptical but open mind until the evidence bears it out or proves it wrong. And in the meanwhile, fear, uncertainty, and doubt of discussing LENR and its possible implications for the EM Drive should be replaced with skepticism, open-mindedness, and a willingness to role up the sleeves and try things. But this forum topic is not about the scientific method. The scientific method as applies to where to go next, beyond a working EM Drive, will be topical when we have a definitive EM Drive proof of concept. We're not there yet, and so anything beyond getting to that step is speculation on top of speculation; no? I reject the idea that we should stay silent and not mention certain words or areas of research to avoid offending the sensibilities of certain individuals. The safer and more astute approach is to maintain a skeptical but open mind until the evidence bears it out or proves it wrong. And in the meanwhile, fear, uncertainty, and doubt of discussing LENR and its possible implications for the EM Drive should be replaced with skepticism, open-mindedness, and a willingness to role up the sleeves and try things. All best discussed in its own thread, I reckon. The problem is not the sensibilities of people. It's keeping this forum in maximum shipshape; it's a functional matter, not fashion. My guess - and its no more than that - is that Shawyer concluded the 'thrust' produced by these microwave emitters was significantly greater than that of a photon rocket effect. Despite a fair number of internet searches, I have yet to encounter any details on Shawyer's research into this. That said, it seems like everybody looking into this is playing catch-up with Shawyer - witness 'Star Drives' last few posts, where to me it reads like they hope to copy a EM Drive model Shawyer was working with years ago. I have found myself wondering a few times if Shawyer's theory is correct, but just so badly presented it gives the false appearance of being wrong. 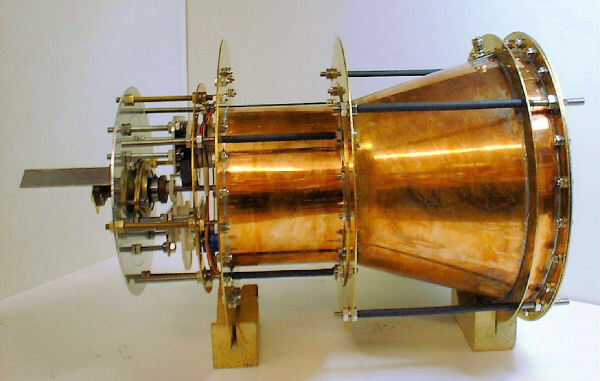 Does anyone actually believe that if we had a working EmDrive with the predicted thrust capabilities that we would have a problem finding power for it? So from where I am standing, power will not be an issue if the EmDrive is proven to deliver usable thrust. We as a species will find a way. I fully agree. Fretting about the energy source is a bit too much at this stage, when conclusively proving the existence of the phenomenon has yet to happen. If this becomes a proven scientific fact, with a few more conclusive replications, finding a power source for it is just an engineering problem. That is, one based on the application of already known scientific and technical principles. We know nukes work and we have them, we know fuel cells work and we have them, the same as solar photovoltaics, etc. Gee, if Emdrives are proven to work as H. White and Paul M. expect, we would be soon putting gasoil engines/generators to power them, and this for replacing turbofans/propellers for flying in the low atmosphere! I believe because of their extremely contentious nature & reputation to the majority in the scientific community it's not just a case of showing EM drives work but producing a rock solid case for why they work. Unfortunately there has been so many other claims of a similar nature that have been made over the years that have proved to be nonsense that it has severely muddied the waters leaving things such as the EM drive with incredibly high hurdles to clear before anyone gives them the time of day. Given the figures the predicted thrust that paul march provided us. Anyone mind educating this lay person on how a single EmDrive thruster would perform vs our current rockets. he also mentioned 1 million of ISP... I guess that´s like having the power of a Merlin 1D engine consuming the same fuel per second as an electric bycicle?? I GUESS a single one would be enough to counter gravity and take a Falcon 9 rocket to space. However, because of the Falcon 9 weight and the thrust equivalent of only 2 merlin engines, it would probably take longer to get to orbit (which as you know is a matter of speed, not height). But considering the ISP of 1 million (so little fuel being consumed per second) it HAS THE TIME to accelerate to orbital speed in the vacuum, while a normal rocket doesn´t have it (fuel ends fast, if it hasnt reached orbital speed, it falls). I guess you could use it at like 45 degrees angle... half of thrust to keep it in space vacuum while the other half is horizontal speed to gather orbital speed? "well, it´s about 1250 kN is about two times the thrust of a Merlin 1D engine from the Falcon 9..."
Hmmm... maybe the relevant formula's / assumptions need independent vetting? bah, just a 3 orders of magnitude difference! well Paul, you might want to answer Birchoff's question directly? The problem is not the sensibilities of people. the problem is keeping Eagleworks open and well funded so it can investigate EM to the maximum extent and obviously, as a NASA facility, with the main objective of spaceflight applications. It´s the Eagleworks investigation that keeps this thread open, because it´s NASA and because we get info about it, unlike the investigations of Shawyer and in China. Anyway we're beating around the bush of something pretty much everyone understands... So let's let the thread get back on track. I do know that March & co already published one illustrated gist of the practical implications of a working EM Drive, but for the life of me I can't find it. I thought it was in one of these NSF threads. WRT Birchoff's question. It appears my previous post got deleted. So I'll ask again. Has this psudoscience nonsense been found to be false yet? Have any proper scientists tested this contraption so that they can show that it doesn't work? Every previous world changing idea didn't try to violate a founding principal of all physics, namely CoE and CoM. Just curious, what makes you so certain that it doesn't work? I mean, I have no idea if it works or not. The only certain thing I know here is that I don't know for certain if it works or doesn't. There is a growing body of evidence which suggest that it does work. It hasn't been proven by anybody that it doesn't work. I'm still waiting for an actual test of the operation of this craft. There haven't been any non-faulty experiments done yet that actually show it producing any thrust. Namely it must be tested in a vacuum. I don't try to merge philosophy and science and currently this "EM Drive" is purely in the realm of philosophy with no actual data yet. Thus I dismiss it just like the people claiming they made an anti-gravity drive in their garage. It's rather insulting that this forum topic even exists here. Well I can't fault you for being skeptical, but I do urge you to review the pages of this thread. Things start getting rather interesting around page 20 or so. Many of your concerns have been addressed here, such as the vacuum testing, which has been completed with data provided, and reported here by an engineer at Eagleworks. And, in my humble opinion, there has been plenty of existing, published in reputable journals...science uncovered, which can shed light on how the EMdrive can thrust, without violating any conservation laws. Also @Notsosureofit has developed his own very plausible ideas about how EMdrive can thrust, using good old established science. @Rodal, @Aero, and @Frobnicat have all provided exhaustive data and calculations both for and against the reports of measured thrust at Eagleworks and NWPU China. We're openly hostile to pseudoscience here, but at the same time, we must be mindful that in order to get to the bottom of this mystery, we have to be willing to step outside of our comfort zones. From a practical standpoint, I find it extremely unlikely that the only means mankind will ever have to propel spacecraft through the vacuum, is to carry along stores of fuel and shoot propellant out the back side. If EMdrives aren't the answer, the lessons learned from this may lead to the answer. Once field propulsion is a reality, we can consider the solar system to be unlocked. Now that is worth a look. While that's all very interesting. You can immediately rule out the drive's functionality because of the lack of reaction mass. CoM is clearly broken. I only have a minor in physics so I honestly can't understand most of what's talked about here, but I know at the least you can't go about thrusting around the universe with no particles/energy leaving the engine without something like an Alcubierre drive. Even if you're pushing against quantum virtual particle pairs, virtual particle pairs have opposite signs so will be propelled in opposite directions thus canceling out any net force. I have yet to year a simple explanation of how this drive works that doesn't dive into theoretical physics to explain its operation. It is true of everything in physics that simple laws lead to complex behavior. If the operation of the EmDrive or other various families of the drive cannot be explained in an abstract way within a couple sentences then it doesn't work. People are being sold snake oil and I don't like it. "We don't know how, why, or if it works and known physics do not readily suffice, therefore it doesn't work and its proponents are perpetuating fraud" is jumping the gun a bit, don't you think? Tornados don't produces magical instruments. They produce junk. Luck doesn't make engineering. The chances of someone stumbling upon some contraption that violates physics principles by throwing electronics parts out of his garage together is nil. The chances of someone stumbling upon some contraption by throwing electronics parts out of his garage together is nil. This Michael Faraday guy is just a shyster, he doesn't even know calculus! How do rockets work? They push out hot gas - the rocket goes direction x, the gas direction -x . How does the hypothesized Q-thruster work? It pushes out QV particle 'plasma' - the Q-thruster goes direction x, the QV particle 'plasma' direciton -x . What's the difference? In case of a rocket, we can still 'see' the hot gas. In case of the Q-thruster, we cannot. Philosophically speaking, it does not matter if you use QV particle 'plasma' or 'real' particles. Both types can be considered a subset of what 'quantum vacuum' is - namely the superset of all that can possibly exist. It's just interesting to think about CoM. I think that the most likely reaction would be that in direction of acceleration, the Q-thruster should produce a sort of 'suction effect', and a repelling effect on the opposite side. Reason being that when the virtual plasma particle pairs vanish again, the impeded momentum must be conserved still in some form. I can only imagine this as a unidirectional 'gravity'-like effect, or maybe an effect similar to a water jet engine's behaviour. Just that in this case the fabric of spacetime itself is being used instead of water. It seems clear to me that not only should a working Q-thruster propel itself, but also create clearly measurable local side-effects. It would be pretty counterproductive if we took the OP's stance to a lot of quantum physics. The world of the quantum often seems to do its own thing and whether it and classical physics will ever be able to coexist happily seems from a layman's viewpoint very much up for debate. But unfortunately saying anything further would be thread drift. @CW you mean something like a quantum wake? Think of the analogy: somebody is inspired by noticing that a flashlight used for communications from space also acts as a photon rocket. Or, as you propose, it actually has even more thrust than a photon rocket. 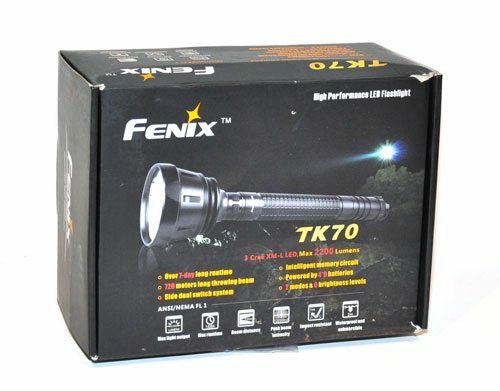 Does it make sense then that the person being "inspired" by this would put the flashlight inside a sealed box, such that the flashlight cannot longer work as a communication device or as a super photon rocket? Being inspired by microwave communications satellites and reacting by enclosing it inside a Faraday cage where the microwaves cannot escape doesn't make any sense to me. No wonder then that you couldn't find anything supporting this story. It is a contradictory story that hangs from a thread: that Roger Shawyer was a consultant to the Galileo project (Europe’s satnav system), but this "inspiration story" conceals the fact that Shawyer's EM Drive is not at all like a microwave communications antenna, since it is designed such that the microwaves canNOT escape the EM Drive, which is the opposite of the design of a microwave communications antenna. Pretty much, yes. Just that you would feel a sort of invisible 'spatial current' forming, that enters the Q-thruster in front and leaves the thruster behind it again, while the thruster accelerates.